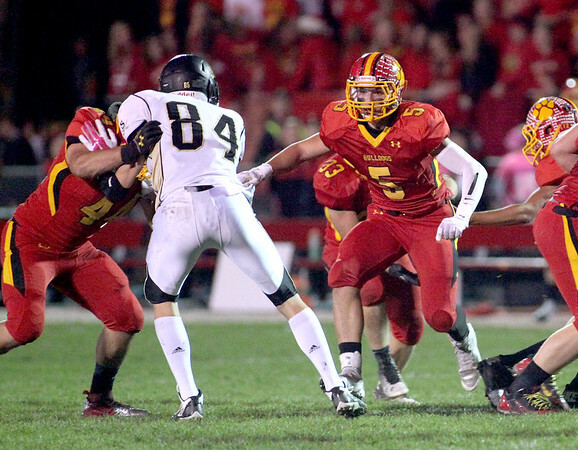 Batavia senior linebacker Jake Hlava (5) goes after a Streamwood offensive player during a game Oct. 24. Hlava committed on Sunday to join the Northern Illinois football program as a preferred walk-on. "I just want to thank all my coaches for helping me get this opportunity and helping me become the player I am," he said.